With the drone-splosion fully underway, we are starting to see some really great drones and some really great accessories. One of the accessory lines that has been sparse among mainstream companies has been carrying solutions for drones. There have been a few backpack and hard case solutions, but most have been very similar in design. 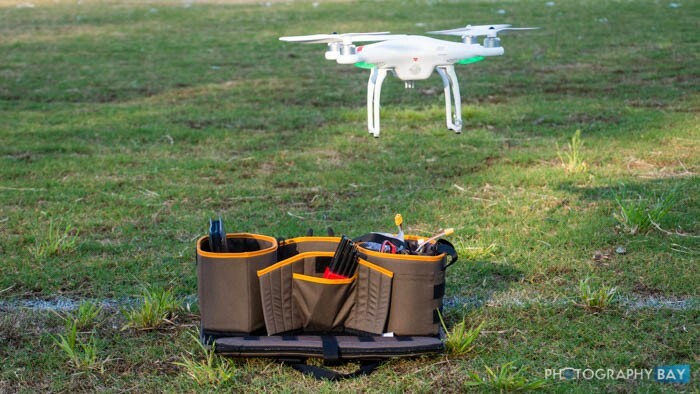 Enter Lowepro and its new DroneGuard Kit. 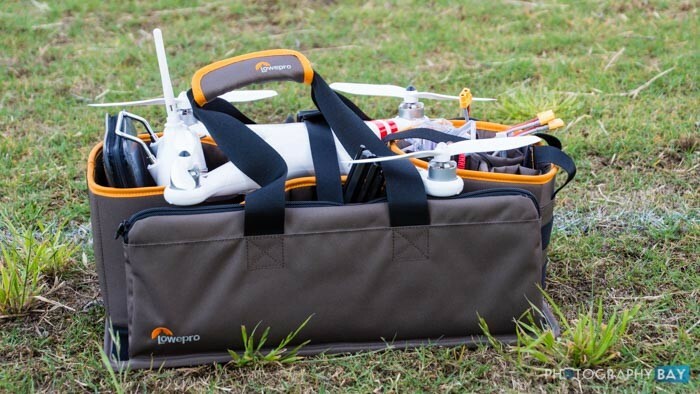 The Lowepro DroneGuard Kit is a versatile field bag that will carry your quadcopter in ready-to-fly mode with propellers, camera and other accessories attached. As a result, when you arrive to your flight location, you can simply pull out your drone and transmitter and commence to flying. 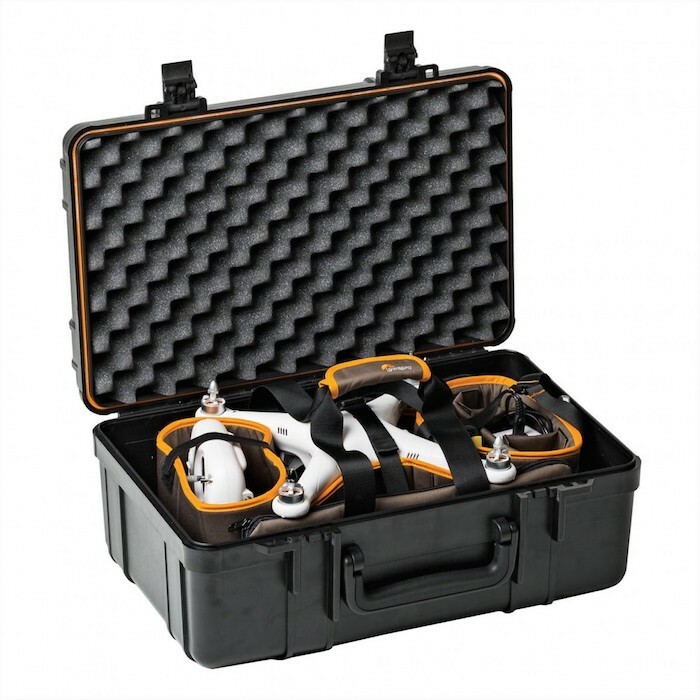 The DroneGuard Kit will hold a DJI Phantom 1, 2, or 3, the 3D Robotics Solo and Blade 350QX3 all with blades attached. Other quadcopters like the 3D Robotics IRIS+ or Ghost Aerial Plus (due to the inverted blades) can be carried with blades removed. There are several open storage areas for packing accessories. On one end, the bag is configured with multiple, smaller and configurable pockets for things like batteries, a charger, tools and smaller components. On the other end, a larger pouch is made to hold your transmitter. 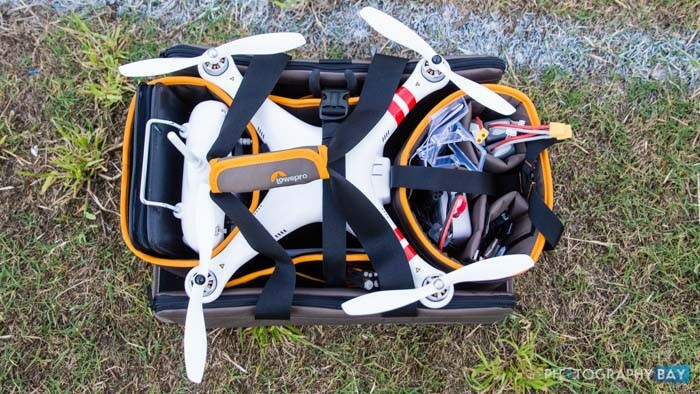 The sides of the DroneGuard Kit fold down when you release the top strap that secures the drone in the bag. These side portions have a large zippered pouch that is perfect for carrying spare propellers or other longer accessories. On the internal side of these flaps are additional elastic loops that can hold a variety of gear like propellers or tools. There is really no wasted space in the DroneGuard Kit and everything remains easily accessible, which is just the way you want it when you have charged up a few batteries and gone out to your favorite flying location. The pouches themselves can be completely removed from the rigid base of the bag, which allows you to tailor the fit to your specific quadcopter. At $99.99, the Lowepro DroneGuard Kit delivers a ton of functionality at a price you would not expect a mainstream brand to offer. I highly recommend the DroneGuard Kit on both price and performance spectrums. 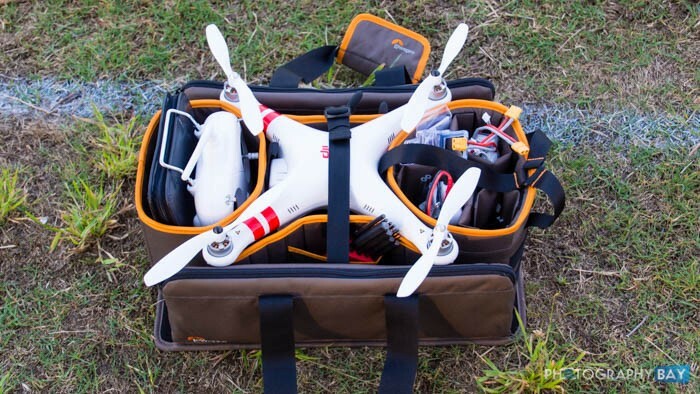 If you are a quadcopter pilot who just needs to move your gear from your car to your take-off area and you don’t need to hike to remote locations with your drone tucked away on your back, the Lowepro DroneGuard Kit is hard to beat. If you happen to need additional protection for your kit, the DroneGuard Kit is made to fit perfectly inside of the Lowepro Hardside 400 Photo Hard Case, which also has a removable backpack. Lowepro also makes a discounted kit called the Hardside 400 Drone that includes the DroneGuard Kit; however, it doesn’t include the backpack from the standard Hardside 400 Photo case. 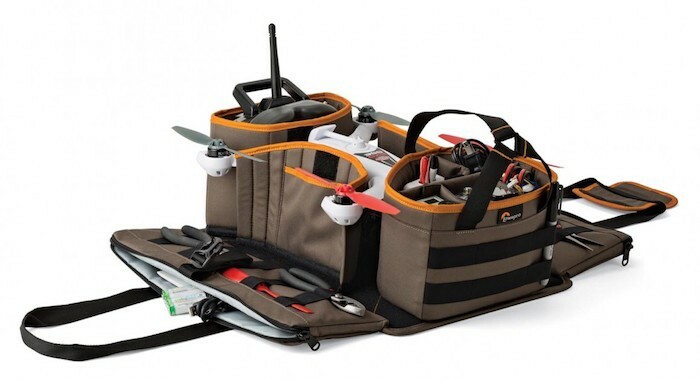 For now, you can only find the Lowepro DroneGuard Kit directly on Lowepro’s website.